Save on the high cost of shipping from Alaska (usually built into the price). GRANDE NATURAL has Value-priced bulk Alaska Fish and Alaska Shellfish right here in the lower 48 Ready to Ship to your Home, TRY US! Attention. DO NOT ORDER SMALL AMOUNTS (<15lbs.) OF SEAFOOD without other frozen products. Shipping Costs are Prohibitive. SEAFOOD is more PERISHABLE than red meats, hence we generally must ship all meat and Alaska seafood packs of less than 25 lbs by more expensive Overnight UPS DELIVERY methods. NOT TO WORRY ABOUT TOXIN CONTAMINATED FISH HERE. OUR ALASKA FISH IS CAUGHT IN FAR-AWAY WILD SEAS, FAR FROM MOST CIVILIZATION AND HENCE, FAR FROM ANY POSSIBLE CONTAMINATION. GREAT PRODUCTS at prices we can both afford! Attention. DO NOT ORDER SMALL AMOUNTS (<15lbs.) OF SEAFOOD with out other frozen products. Shipping Costs can be Prohibitive. was $14.95/lb. now $10.45/ lb. 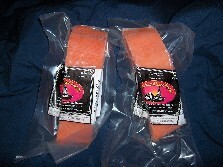 KODIAK ALASKA SMOKED SALMON LOX", 8 oz. portions. SEAFOOD is more easily PERISHABLE than red meats, hence we must ship all meat and seafood packs of less than 30 lbs by a speedy, but potentially expensive UPS DELIVERY method. IF YOU HAVE A PROMOTIONAL COUPON CODE: PLEASE PLACE IT IN THE COUPON BOX OR COMMENTS SECTION OF THE CHECKOUT PAGE. "Everybody knows the best cold water seafood is Alaska Seafood. Catching a feisty Alaska Salmon or Gulf of Alaska halibut and quickly filleting and cooking it can be one of the best eating experiences ever. " "Back in the 70's when I worked in S.E. Alaska, my favorite routine was to visit the local pier after work, buy the catch of the day, be it halibut, salmon, red snapper, cod or king crab legs, and then eat it by nightfall. Hummm! Just plain Great. But down here in the lower 48, most of the fish or crab legs for sale aren't so fresh, nor so tasty. I won't buy supermarket fish . . . . . But, now I have discovered a supply of fish so fresh, so tasty and reasonably priced, I can buy enough for both me and for you. Restaurant quality, true Alaska Seafood, Alaska Halibut, Alaska Salmon and even Gulf of Alaska King crab at real discount prices. 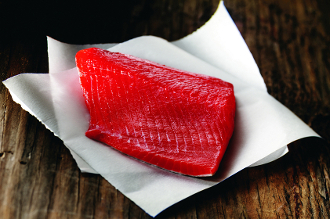 Seafood that's quickly flash-frozen right up there in Alaska, so its fresher than FRESH!" This seafood is so good, I am now eating it one or more times per week...just like the Doctor ordered!" Buying Alaska seafood from a Colorado elk and buffalo meat company? Never heard of such a thing? Well, Why NOT! Ranchers in middle-America like and want good Alaska fish too! Plus, Grande Natural has the buyers, freezers and shipping expertise to do it right! Sooooo, WHY NOT have Alaska's best Seafood available with our affordable elk and buffalo meats. 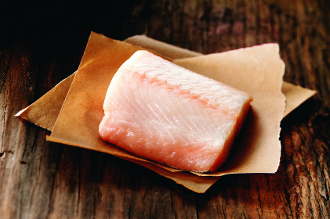 Great Alaska halibut, salmon and even Alaskan crab legs or Alaska scallops are now easily available with your red meat purchases. Our partners buy seafood in bulk brought down from Alaska and sell it for a fair wholesale price to restaurants, stores and now, thru Grande Natural to individual consumers like you. If you buy a small quantity of seafood direct from Alaska, you know the shipping cost can be a real problem, it's expensive! But most Alaska seafood companies hide the shipping cost in their per pound price. Don't be fooled, you can buy it cheaper. Buying in bulk makes it cheaper, and we can pass those savings on to you. Further, there is NO old fishy taste here from fake fresh seafood (frozen and then thawed "fresh"), just great Alaska seafood flavor from wilds of Alaska! If it does not taste good to us, we won't sell it to you. ELKUSA is delighted to bring you our flash-frozen seafood including Alaskan salmon, halibut, cod, scallops and now even Alaska crab legs too! By adding quality, inexpensive Alaska seafood to your diet, your meat shipping decisions just got easier. 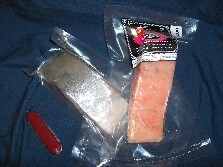 The more pounds of product in a box, even if it is the Alaska Seafood, the safer and cheaper your shipping cost becomes. 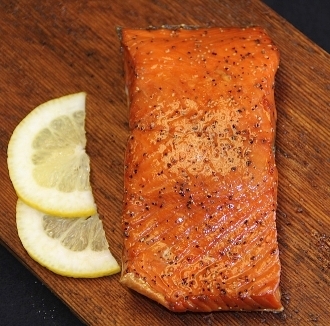 Alaska seafood makes a wonderful and healthy change of pace in your daily meal routine. 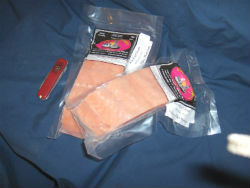 Try Alaskan king salmon, high in recommended omega oils, or tasty Alaskan Halibut, by far the best white fish out there. 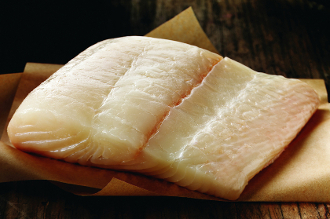 Reasonably-priced Alaska Flounder, or Alaska True Cod can be a real treat. And don't forget those delicious large or Jumbo Alaska scallops, cooked quickly to preserve their delicate texture and taste. Everyone's favorite, Alaska King Crab is getting harder to find these days. Quality King crab has just not been readily available lately, we will keep looking and stock it if quality is available. However, for you, how about maybe try something new. The Opillio or Baridi Alaska Snow Crab is excellent. Select the leg and claw package for larger pieces. Full full cluster for an inexpensive treat. All crab products are boiled and flash frozen to protect quality. 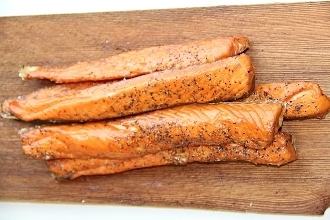 Undoubtedly, Wild Alaska Salmon is the best Salmon you can buy, anywhere. No risk of contamination from nearby civilization, no mushy meat like some farmed salmon. Pink to orange, firm meat from a deep ocean diet insures that our wild Alaska salmon catch is going to taste great each and every time. You deserve a treat. 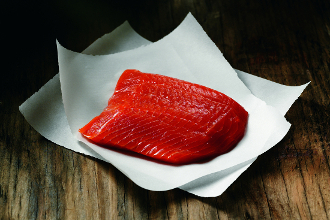 Try Grande Natural Alaska Seafood, including both the Alaska fish and the Alaska shellfish selections. So if its halibut or salmon, crab legs or jumbo Alaskan scallops, you can count on Grande Natural Wild Alaska seafood to satisfy your all-natural seafood cravings. 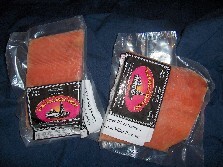 Rich, the ahhhhh, "Alaska Fish Boss"
Exact shipped quantity may differ slightly from order to order. We have NO "free shipping" markups at Grande Meats. We will add $12.00 for Handling, foam box and 3# dry ice per up to 20# box, OR $14.00 for Handling, up to a 45# box, OR $18.00 for Handling, up to a 70# foam box and 3# dry ice). At our discretion, we will add extra dry ice at $2.00/lb for smaller packages IN ADDITION TO the box charge.